If you’ve read a previous post of mine – you will know very well that messy play brings me out with the sweats!! That said, I’m trying my hardest to overcome my little problem and therefore really trying to push myself out of my comfort zone, especially while I’m home for the next few weeks nursing Ella back to health after her accident and until she can walk properly and hold her own again before sending her back to nursery. A perfect opportunity one might say! So, without further ado I give you my latest masterpiece creations: Butterflies! Made from paper plates and loo rolls! So do you fancy having a go yourself? I promise you they’re dead easy. And are quick to put together too. Just perfect for a rainy day activity indoors. 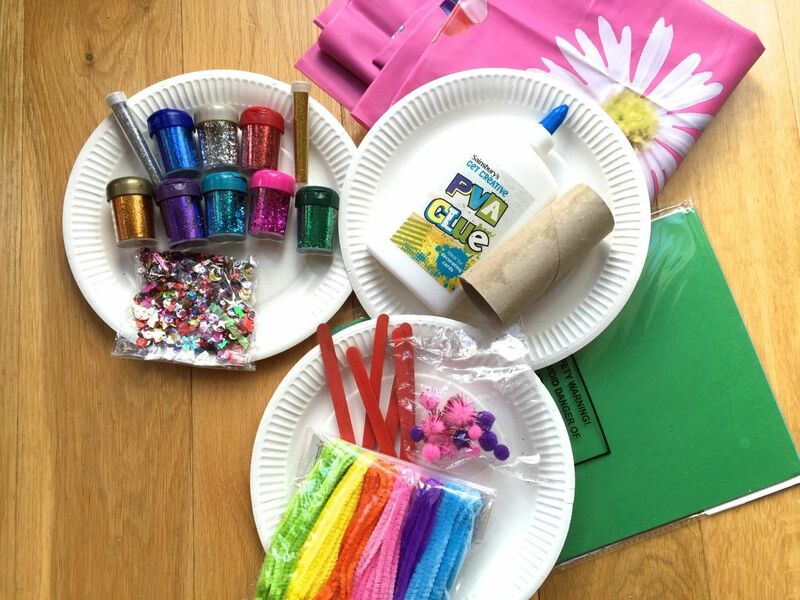 All the materials can be bought from any craft store or many supermarket – I tend to just pick up a few bits whenever on my weekly shop – just to keep stocked up for such occasions! If you do fancy a stab at these, here’s what you’ll need…. Pipe-cleaners – for the antenna – I used two per butterfly. I wrapped one around the middle of the card to make the body, and then threaded the second one through the first and fashioned into antenna. Glitter – for a little added sparkle of course! Decorations of your choice – the first I grabbed was the little gems, but anything would work just as well. 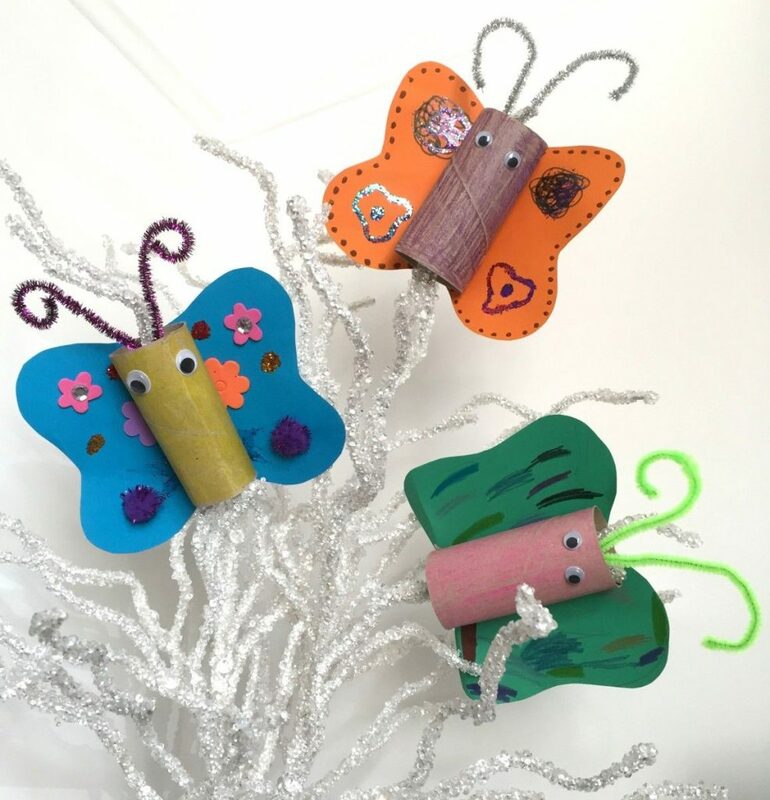 Lolly sticks – we actually glued these on to the butterflies ourselves with superglue, as I often find that PVA doesn’t stick to some things in the time you have! So I cheated! PVA Glue – for sticking!! 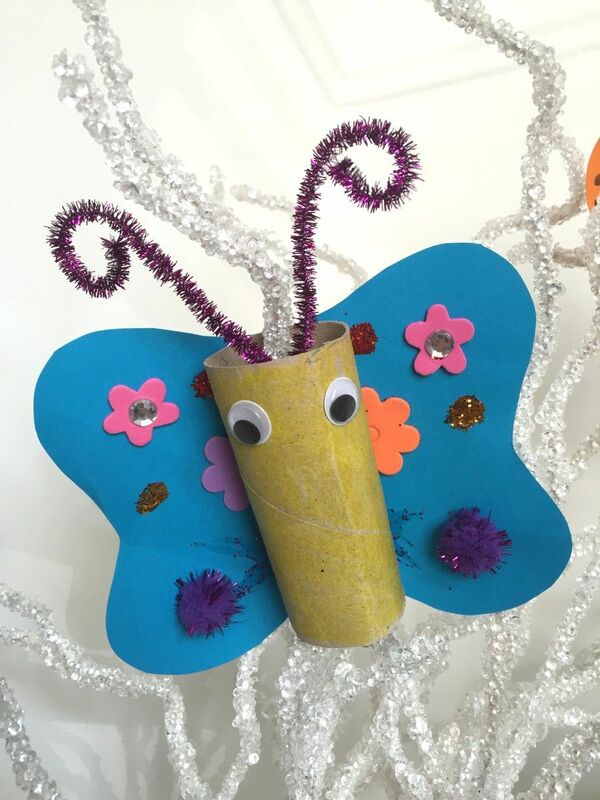 Some stick on goggly eyes – to make the butterflies come to life! 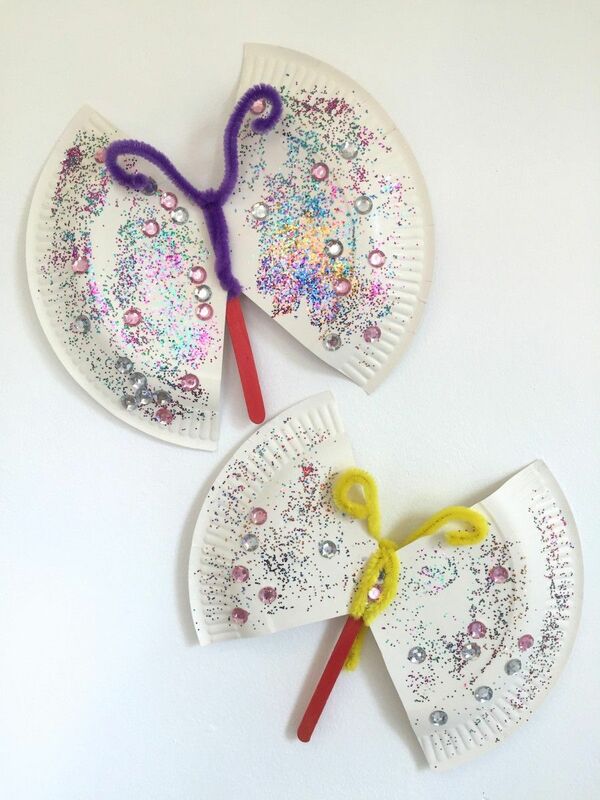 So – let me know if you give these a go – it would be fab to see how yours turn out too!! 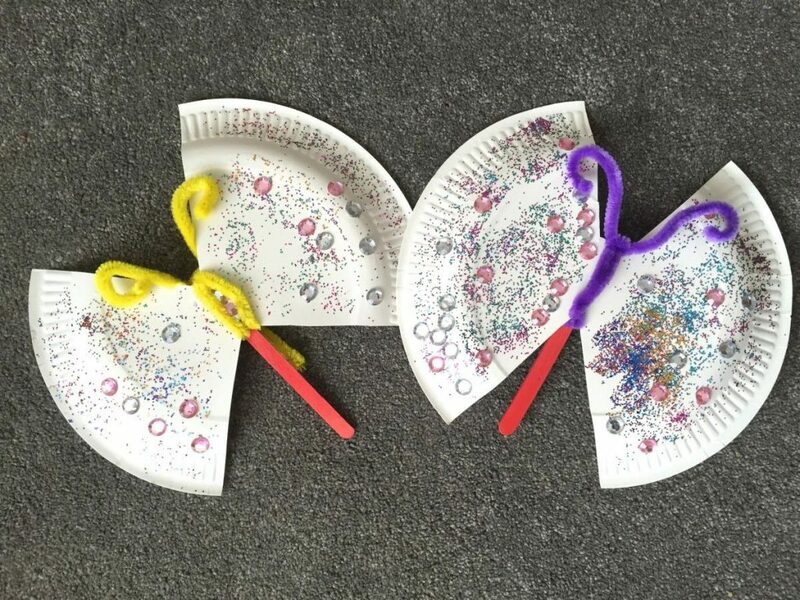 So simple and so fun for the kids! 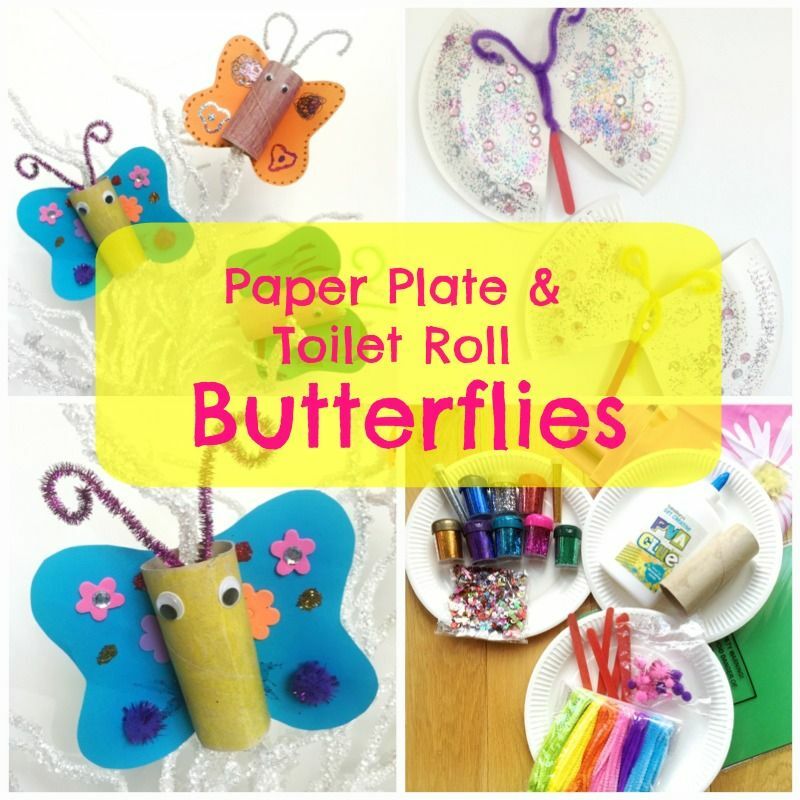 I did the toilet roll butterflies with the kids the other day! They loved it!!! beth recently posted…Mum, Taid and Daughter.